With the introduction of the new Mobile App, users now have access to a cleaner interface and expanded functionality that provides useful information about phone characteristics and communication with intaQt. The new intaQt Mobile App is a rewrite of the existing Mobile App, using the latest Android APIs and library. It works by connecting to intaQt and performing actions on the phone, such as making and receiving phone calls or SMSs, thereby allowing intaQt to test a variety scenarios across many phones. In addition, a more robust networking layer has been added, thus the app and its communication should be more reliable in the future. The app’s improved UI now displays information about the phone, such as its serial number and IMEI. Previously, finding some of this information required a more complicated approach. 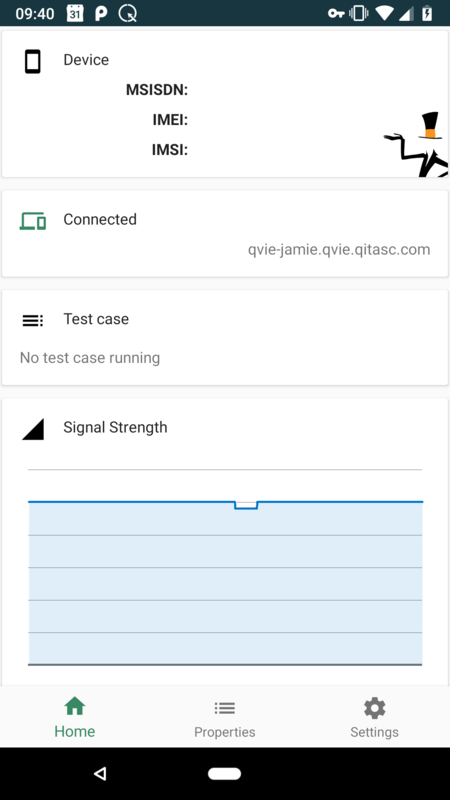 Additionally, the app shows when it is connected to intaQt, signal strength and even which test case has acquired that phone. The intaQt Mobile App supports Android version 6+ and takes full advantage of the new APIs that have been introduced in Android 8 (O) and 9 (P), which provide first-class support for operations such as programmatically making and ending calls. 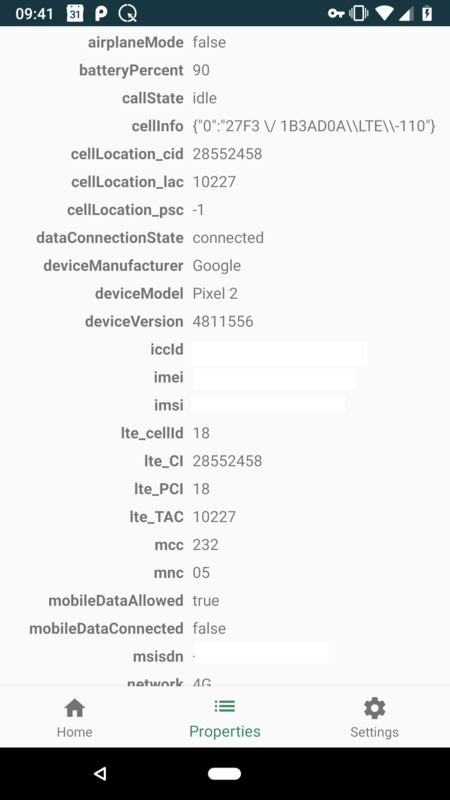 In the previous intaQt Mobile App iteration, overriding an MSISDN could potentially cause SIM card issues. If SIM card was swapped, the MSISDN would have to be re-entered manually. Now when SIM cards are swapped, the override will be applied because of the new Retain MSISDN feature. Users can also see what server they are connected to, or bot for those that are using QiTASC’s TYCHE bot mode. The UI isn’t the only big change to the intaQt Mobile App: We’ve optimized phone-to-server communications for the new app, meaning phone acquisition and property retrieval are now almost instant – phone properties are pushed to intaQt in real time. The phone properties in the example below contain the same information that users can also find at localhost:8080/phones. This increased speed should also provide more reliable networking that significantly speeds up tests. In the past, when the intaQt Mobile App accessed phone properties, the Remote Phone Service would would retrieve properties for ALL phones (e.g. 32 phones) and return all of them. Now property retrieval will be instant regardless of the number of phones. This means phones are acquired faster and properties are easier to access. During internal testing, we found an aggregate of several hours in reduced test-running time per week. Over time, these small changes make a huge difference to test projects! The new intaQt Mobile App is a new release and has been rewritten from the ground up. Although it has been tested using QiTASC’s comprehensive internal acceptance test suite, some issues may remain for certain phone models or networks. This could result in non-backwards compatible issues. However, the development team is continuing to test internally and releasing the new intaQt Mobile App as an experimental release in order to get early feedback from customers. One of the biggest benefits of the intaQt Mobile App is that it provides valuable reference material to test engineers in a single place. Testers can see who is using the phone, or if it is connected and they no longer need to navigate through the phone to finds IDs. In combination with our new Phone Plugin, which makes devices accessible through intaQt Studio, users not longer need to get up from their desk or contact someone at another location to check on a phone’s status or characteristics. The new intaQt Mobile App provides users with greater access to information about the devices they use with intaQt. By updating the UI to include multiple cards and an easy-to-navigate layout, finding phone properties and connection information is simpler and straightforward. Additionally, the internal workings of the intaQt Mobile App have significantly cut down the amount of time that it takes for it to communicate with the intaQt, meaning phones are acquired faster and properties are accessed nearly real-time. Finally, users no longer need to get up from their desks, ask a co-worker in a remote location, or press multiple keys to find information like who is using the phone and on what test case it is running. Would you like to try out the experimental, new intaQt Mobile App? Contact us at sales@qitasc.com to find out more.